It’s Monday and I’m already feeling tired! How is that possible? This past week was extremely busy on the fitness front. May seems to be flying by already, as we’re more than halfway through the month and I’m just a few days away from my next race, the King of Prussia 10 Miler. 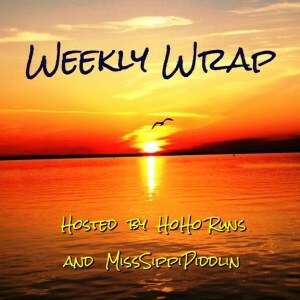 I thought it would be the perfect time to link up with HoHo Runs and MissSippi Piddlin for the Weekly Wrap! 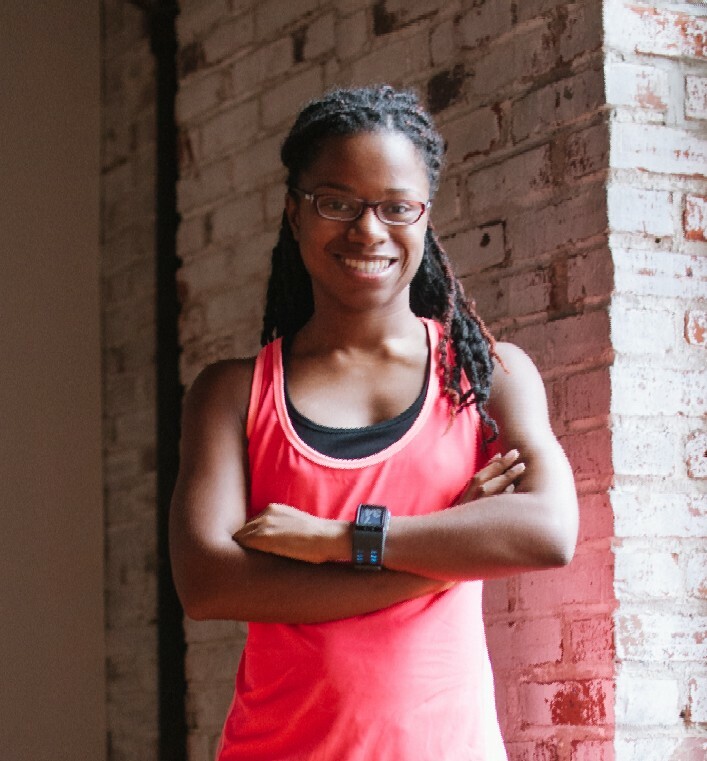 You’ll find lots of great updates, workouts, and race recaps from a variety of health and fitness bloggers. 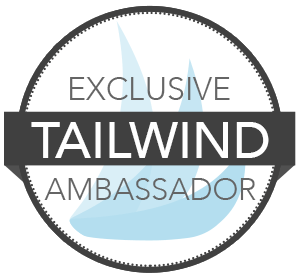 I hope you check it out! I used to give weekly workout recaps on Wednesdays as part of the Wild Workout Wednesday link up, but I’m liking the idea of sharing these recaps at the start of the week on a Sunday or Monday with the Weekly Wrap and a couple of other fun weekend linkups! I think overall, I had a pretty good week. It’s been pretty busy at work but not too painful. More than anything, I’ve been exhausted from so much working out every day! I just realized that I haven’t had a rest day in over a week, and even though the SWEAT Beach Body Challenge is more of a HIIT-style workout, I need to make sure I’m keeping everything in balance. Meanwhile, I’m looking forward to the King of Prussia 10 Miler this Saturday and gearing up for the 1/2 Sauer 1/2 Kraut Half Marathon on June 4. I’m also now signed up for the Muckfest MS mud run on June 5! You can sign up for a Muckfest MS in your area with $7 off using code SPORTY7! Thankfully, it’s only a 5K distance so I shouldn’t be too worn out by that following Monday! My sister came up with a great idea for the two of us to do a weekly ingredient challenge. This past week was all about quinoa! While it seems like I eat quinoa every week, this was her first time cooking with it. It was a great opportunity to try some new recipes and do a throwback to one of my favorites. 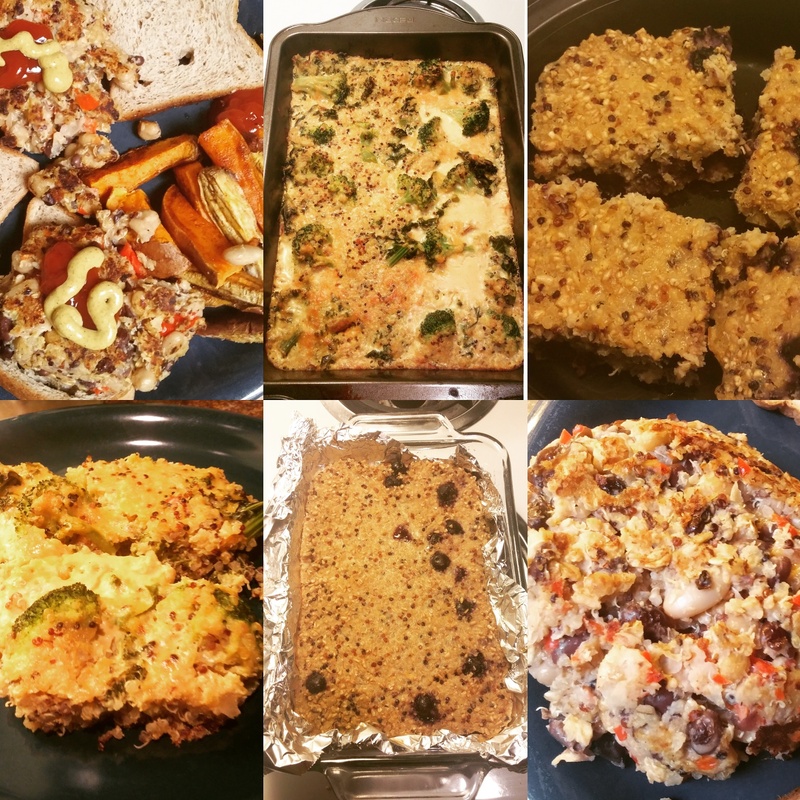 Here are the meals I was able to make featuring quinoa! Triple Bean Veggie Burgers from Peas and Crayons: It’s an extremely time-consuming meal to prepare but worth it every time since it’s so flavorful and healthy! I was also able to use the ingredients to make burritos for last night’s dinner – it was delicious! Lemon Blueberry Quinoa Breakfast Bars from Simply Quinoa: This was so fun to make and of course the lemon made everything so fragrant! They are much more filling than they look and were great to have for breakfast through the week. Cheesy Broccoli Quinoa Casserole with Kale from Running in a Skirt: Julie always has great recipes! I was excited to try something new. I think this meal came out great but i have to admit I needed some meat to add to this meal to be more filling! It was so great to be back in the kitchen. When it comes to cooking, I tend to not make the effort, or I’m really consistent for a few weeks and then fall back off the wagon. It’s not that I’m bad at it; I’m just lazy! But so far, I’m really having fun with it and keeping upw ith it! This week we’re going to feature sweet potatoes! Do you have any favorite sweet potato recipes you’d recommend? Saturday 5/7: We went for a long run in the Wissahickon trails, and I’m still riding the high! Sunday 5/8: Finally doing my part of the SWEAT Beach Body Challenge: 5 rounds of 10 bench dips, 8 curls (using 3-pound weights that I have at home), 6 pushups, 4 burpees, 30-second side plank on each side. Before dinner, I went for a 7-mile run. It was actually pretty warm and sunny, and the trail was full of gnats…ugh! Still, I’m glad I got in that long run! Monday 5/9: I had meetings so no yoga class. I did get to go to boot camp, and we had a full class of women for the first time. We did lots of upper body work with resistance bands, push ups, mountain climbers, squats, lunges, skaters, wall sits, and some torturous ab work! Tuesday 5/10: Back to the SWEAT Beach Body Challenge: 3 rounds of 20 side crunches, 15 half burpees, 10 diagonal get ups, and 60 second wall sits. Very solid workout! Wednesday 5/11: Weight training class. We did lots of pushups and dips, lat pull downs and work on our biceps. I was really beat when I got home and too tired to do the Beach Body workout. Thursday 5/12: Finally, my first softball game of the season! As always, I was pretty nervous, but it was great being back with my team from last year. I struck out the first time up at bat, but the second time I had a base hit and was able to make it home. We lost by one run, but I had a blast! Friday 5/13: I went to the gym after work and ran 3 miles on the treadmill at a 10:54 pace. HGTV helped me pass the time! 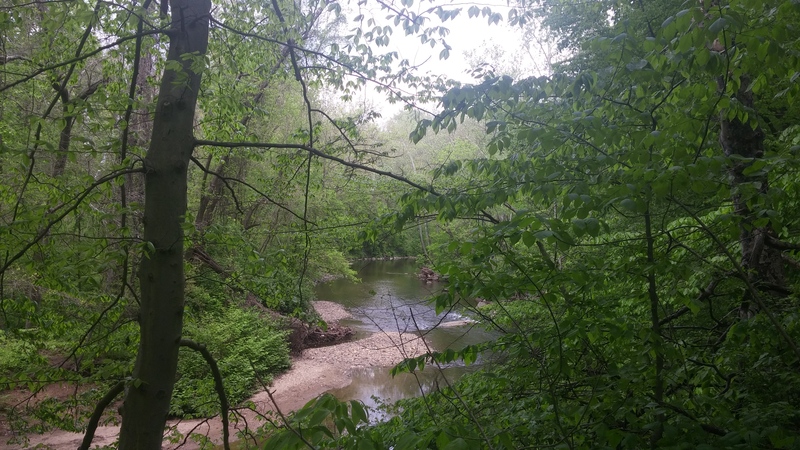 Saturday 5/14: We went for a run in Pennypack Park. I wasn’t feeling so well after our first 2 miles so we walked the rest of the distance. We actually were on a new-to-us path that was gorgeous! Philadelphia has some amazing running trails! Sunday 5/15: I fought it hard, but we went on another run on Sunday afternoon. 5 miles, but the pace was in the 11 to 11.5 – minute range. It just took a long time to get into my sweet spot. Running the trails is my favorite! How was your week of working out? How do you maintain your energy? Previous Post 5 Silliest Myths About Mud Runs + Discount to Muckfest MS Next Post Let’s Debate Repeating Races: Yay or Nay?